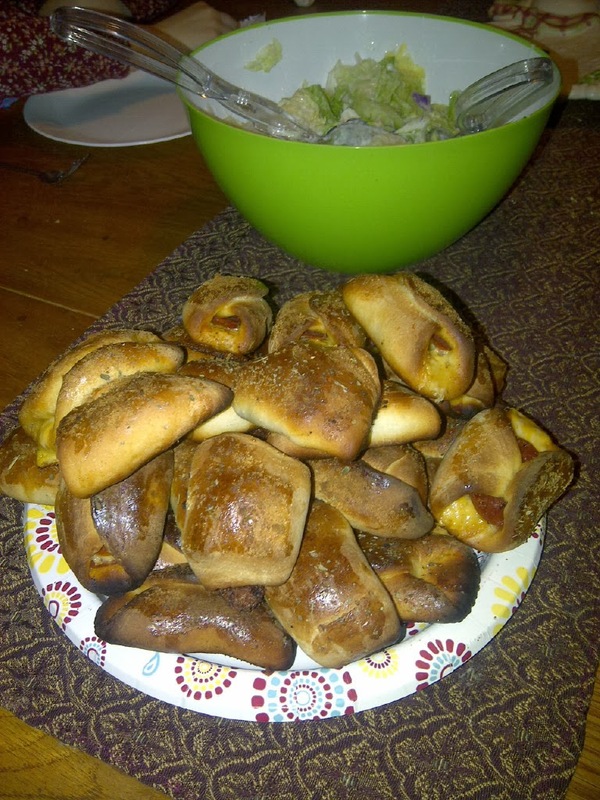 MrsChadT: Superbowl Appetizers Pizza Rolls. If your hubby is like mine or you've got friends coming over to watch the super bowl this month, then everyone will love these pepperoni Roll appetizers. They'll grab them by the hand full and snack away as they watch the game! Cut block of cheese into 30 mini squares. Flatten biscuits and stack each with 1 pepperoni slice, 1 cube of cheese, and then 1 more pepperoni slice. Gather the edges of each biscuit to form a roll. Place on a greased baking sheet. Brush each roll with egg; sprinkle evenly with Parmesan cheese, Italian seasoning, and garlic powder. Bake as per biscuit directions. Heat pasta sauce in a sauce pan until thoroughly warmed and serve alongside for dipping.